 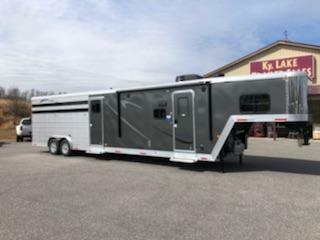 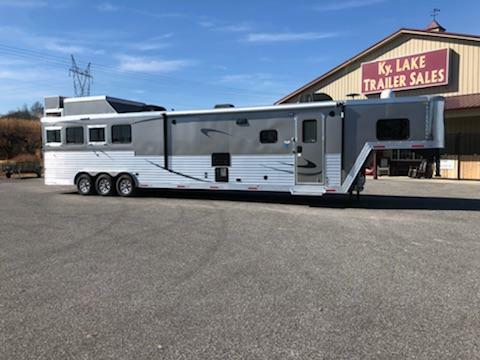 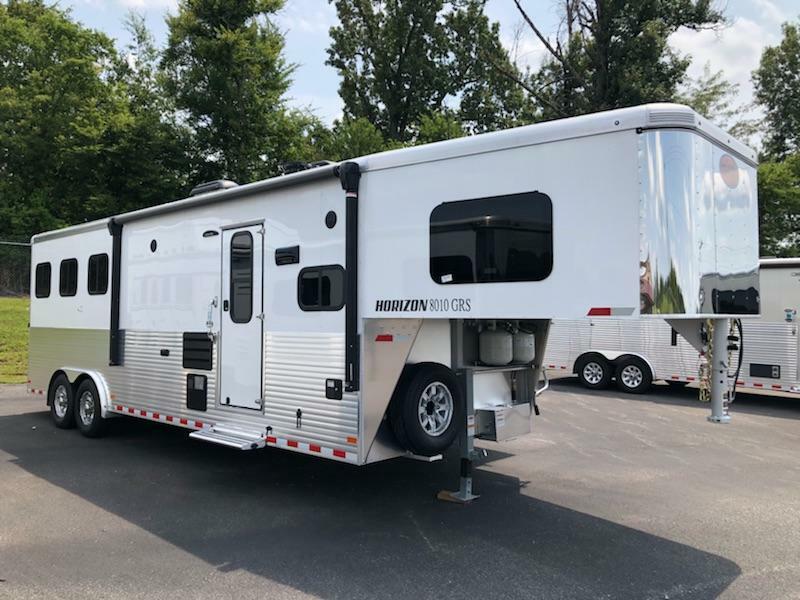 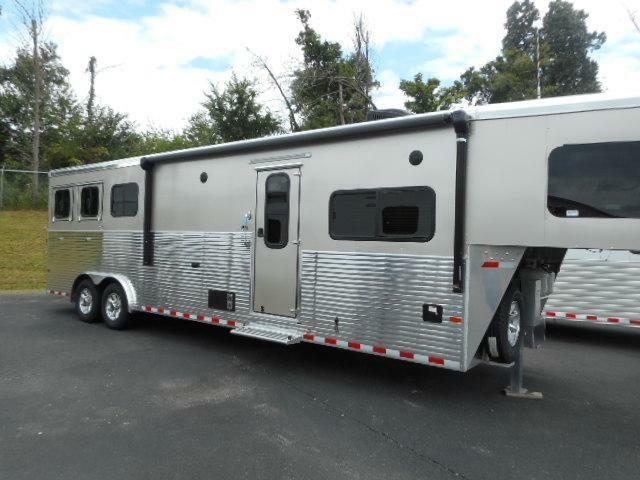 This 2012 Sundowner Sportman 2H GN trailer is white in color with an awning a finished out dressing room. 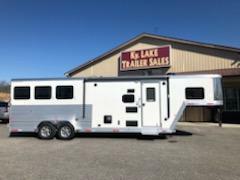 The finished dressing room has a stereo and speakers, A/C, electrical outlets on the walls, fridge, and walk through door to the horse area. 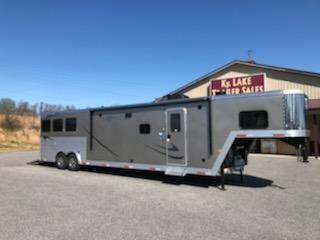 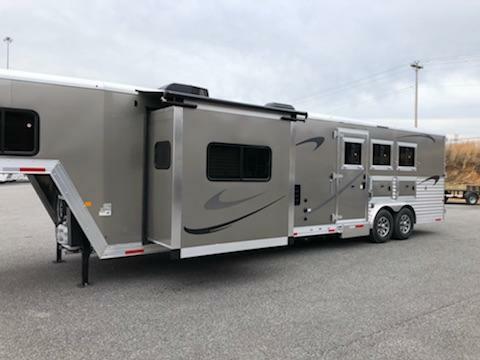 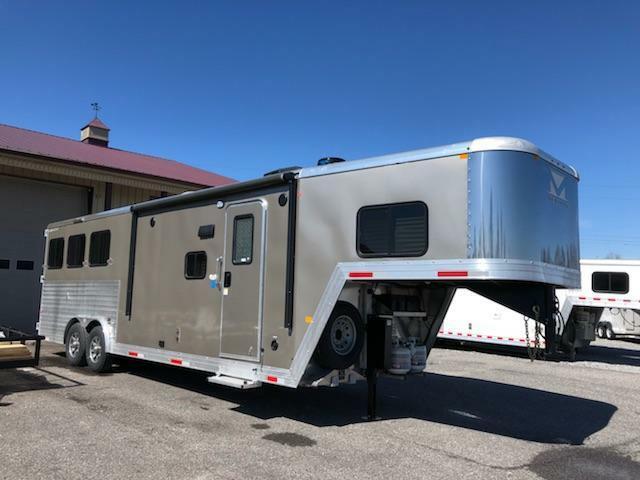 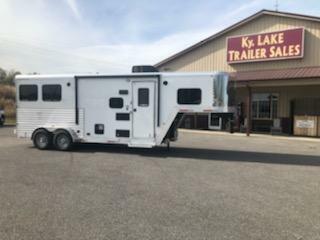 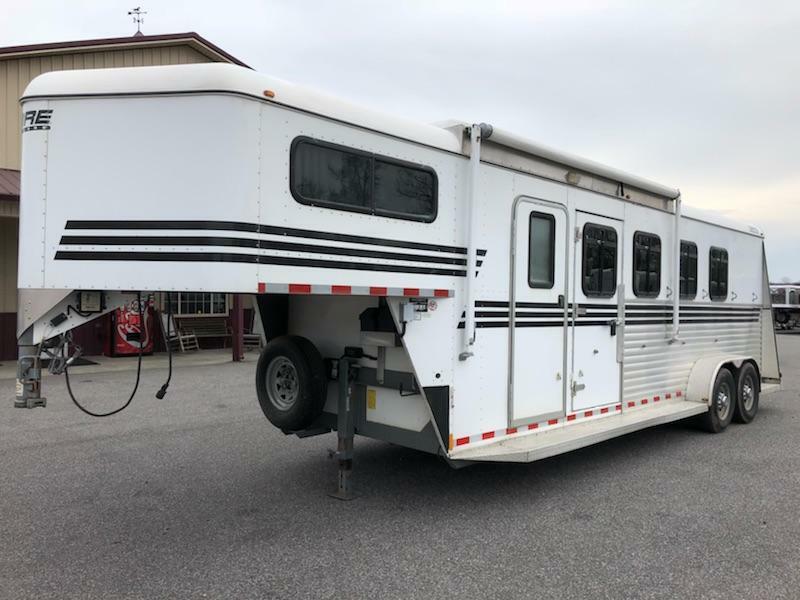 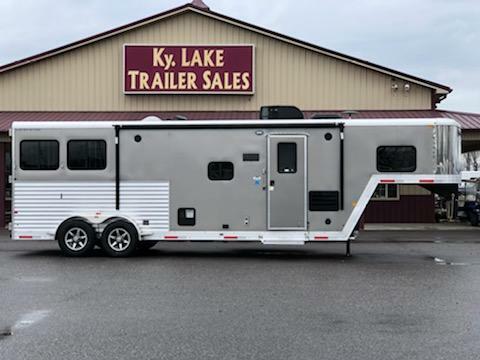 The horse area has a collapsible rear tack drop down windows on the head, and sliders on the rear. 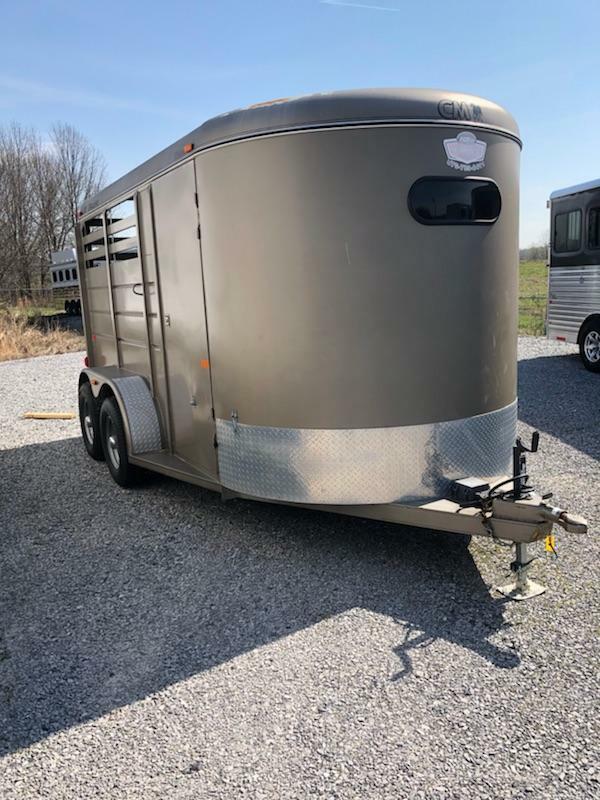 Priced to sell at $15,500.00.